The murder has placed strain on the decades-old alliance between the United States and Saudi Arabia and tarnished the image of Crown Prince Mohammed bin Salman, the kingdom's de facto ruler. 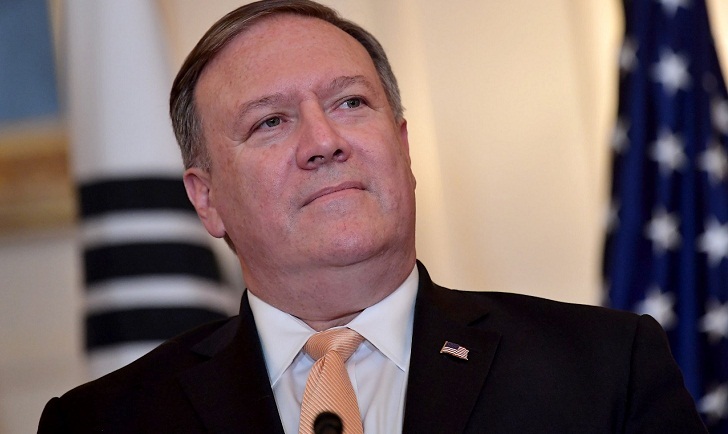 "We're continuing to understand the fact pattern," Pompeo said Thursday during an interview with Missouri-based KMOX news radio. "We are reviewing putting sanctions on the individuals that we have been able to identify to date that have -- that were engaged in that murder. "It'll take us probably a handful more weeks before we have enough evidence to actually put those sanctions in place, but I think we'll be able to get there," he said, adding that President Donald Trump had vowed accountability for all involved in the "heinous crime". The top US diplomat has previously said the killing "violates the norms of international law." But Pompeo emphasized, as Trump has, that "not only do we have important commercial relationships, but important strategic relationships, national security relationships with the Kingdom of Saudi Arabia, and we intend to make sure that those relationships remain intact." "When officials of our government are asked about consequences for Jamal's murder, they often talk about 'balancing our interests in the area,'" he said. "The 'Khashoggi incident' is viewed in some respects as a 'complication' in a far more important strategic relationship. "But Jamal's death is more than a 'complication.' It is vicious, state-sponsored murder of an innocent journalist," he added, calling on the government to suspend arms deals with Riyadh and not resume "business as usual" with the kingdom. "If those who persecute journalists get away with their crimes -- and are allowed to continue with business as usual -- it only invites more of the same," he said.